The space members create when they leave and the grief it invokes makes for uncomfortable and difficult company for clergy. More seasoned clergy tell you about the feelings of loss and grief, but when you’re young, newly ordained, and know everything, you don’t listen. Instead you are more excited over debating the value of the filioque in the Nicene Creed. But grief will not be ignored, and after some time in ministry, we clergy sit with a cup of hot tea or a glass of wine after a particular funeral of a beloved member and reflect on the many people God has placed in our holy care and the many people who have moved to other shores or other places or simply moved on with no forwarding address. All of these losses create space. The loveliest space created is shaded with the patina of joyful sadness when a long-time member dies. Yes, we know they have gone to Glory, but for those steadfast, faithful members, the open space remaining after death is palpable. We miss those we bury. And while the grief transforms over time, the light will fall in a particular way in the church or a hymn will stir some deeply held memory and we feel the space anew. Even long after we have sung Alleluia Alleluia Alleluia at the grave, we clergy may find ourselves glancing to their usual place in the pew as we preach, hoping maybe, just one last time, to see the face of a dearly beloved member looking back at us. Instead we see the space left. We even feel the space left, particularly if the departed congregant was a gentle and powerful spiritual presence at worship. Members create space when life happens. They get new jobs or transferred in their existing ones. College and graduate school are next steps for many people. Retirement means moving closer to children or moving to the dream home in another country. Marriage may mean joining the faith community of a spouse or partner. Infirmity and illness may mean slipping away memory by memory. The body remains, but the space is there. Life is, in its truest self, movement. We as clergy are privileged to be part of lives for a season or a few seasons, and then we are called to bless them as they begin a new journey in a new place away from our place. We move into the role of former priest and wonder how they are doing or excitedly welcome them back when they return for a visit. Yet there is still the space. Members create space when they leave for as many reasons as hymnals have hymns. Some, after a period of discernment, follow God’s call to another denomination or faith tradition. Others slip away quietly, finding God and community in other places and ways and never saying goodbye. And still others leave because they are dissatisfied with the priest, the youth minister, the choir director, another member, or any number of the reasons we cut off relationships and leave reconciliation hanging in a vacuum of space. Yes, when members leave, space is created, and grief may settle in that space, even when the grief may be tinged with relief (all clergy know that feeling, too). Yet, as I reflect, I also realize the beauty of God’s wisdom in creating space. People leave and create space. And people arrive into new space. New voices join the prayers. New life infuses ministry. New steadfastness anchors a faith community. New experiences await us on a new adventure. Perhaps an aspect of resurrection is to resist the temptation to build a fence around the space created when church members leave, so nothing can ever enter the space again, whatever the reason they leave. However foundational we believe some people may be to our faith communities, we are always reminded the church’s one foundation is Jesus Christ, and we are all part of a large, moveable, and fabulously messy community upon that foundation. For the many times I’ve found myself wondering how a faith community will replace a presence no longer with us, I’ve always been surprised by the joy of the new presence God brings for us to welcome. Sometimes the new presence is a new member. Other times the new presence is a long-time member stepping into the space of a new expression of ministry. Space, apparently, invites creation. God moves over the space and creates something new. We may allow God to protect the space in our selves and souls until the space is ripe for re-creation. We do not replace people, but we expand and grow deeper and wider as we ready for new birth. When we offer the space, God creates. Even when we don’t offer the space, God creates. God, after all, does not need our permission to create. But when the new creation appears, our welcome and cooperation helps. People leave. People arrive. We say goodbye. We welcome with hello. We grieve a death, and we cautiously welcome new life. We bury a deeply loved child of God, and we baptize a new child of God. In the beginning, and again and again and again, God creates in the space. 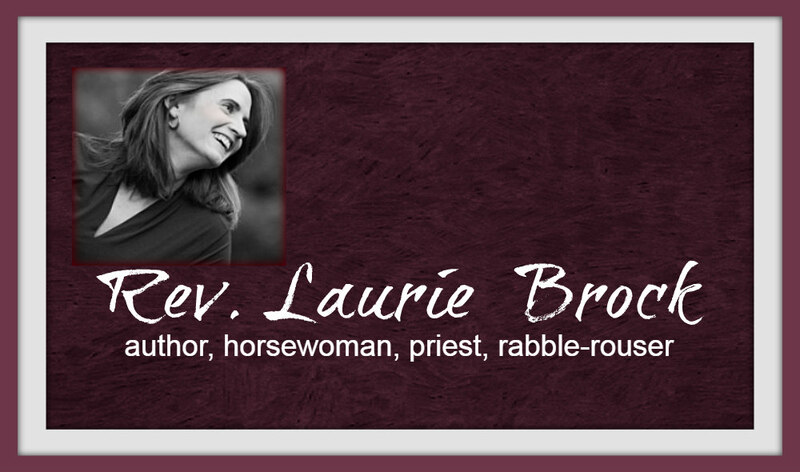 Thank you, Laurie, for your thoughtful reflections. My little rural congregation lost our beloved matriarch on December 22nd. The remaining 12 are bereft, but we're picking up the pieces to carry on as best we can in the few years that remain before they expect to close the church. We can indeed hope that God moves over our space and creates something new.